I’m a sucker for a game of Memory and this set is a beauty. I have no strategic moves, nor is my actual memory that great, but the joy this simple game brings to tots is adorable. Don’t be fooled into thinking your little one is too young to start playing, you might just be very surprised! 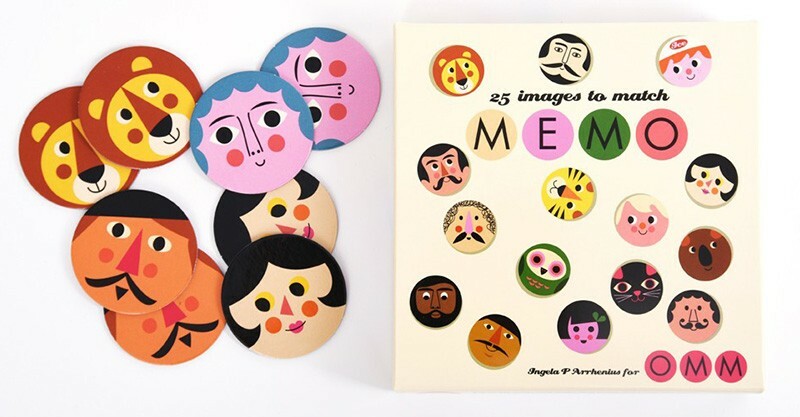 Beautifully illustrated by the amazing Ingela Arrhenius, this OMM Design Round Memory game includes 25 funky animal and human faces to match. 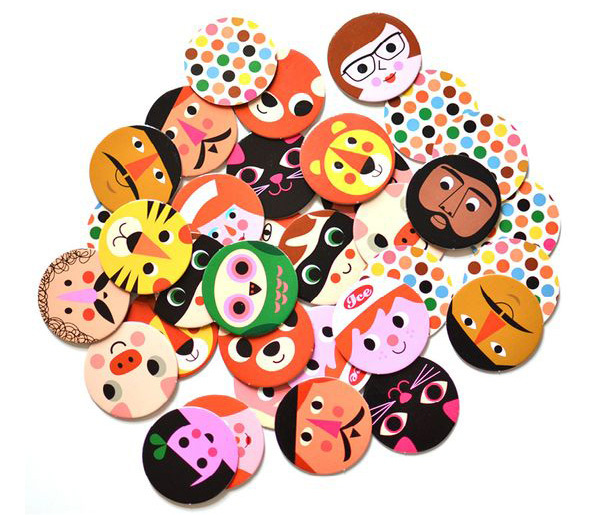 With 50 cards in total, it makes for a nice lengthy game for preschoolers which they’ll love. For those just learning the game, try starting with just half a dozen pairs, keeping a tot’s short attention span in mind. Believe us when we say they’ll soon be hooked and demanding rematches! Suitable for children aged three and over due to its small parts, you can purchase this sweet Memory set at Fine & Sunny, priced $28.